Item number B47 from the MOA: University of British Columbia. 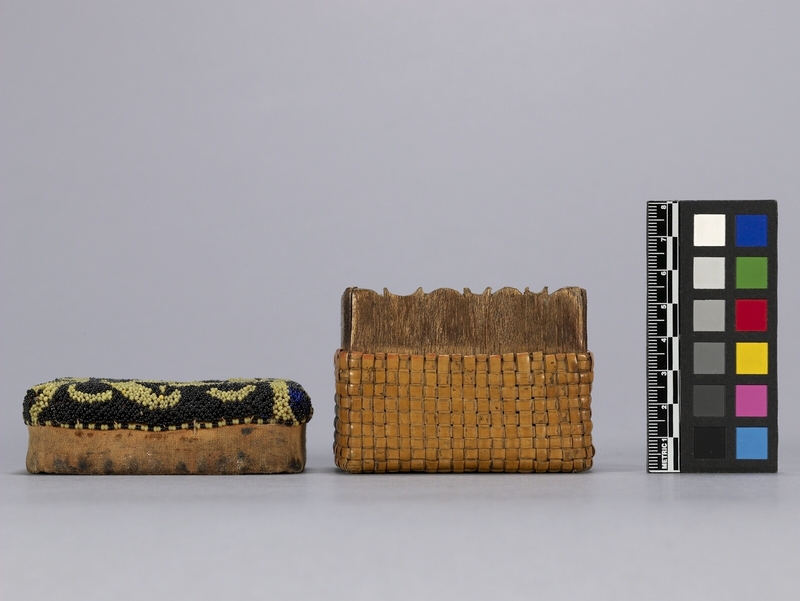 A small rectangular wood box (part a) with a beadwork lid (part b). The top of the box (part a) has an elaborate-shaped edge. 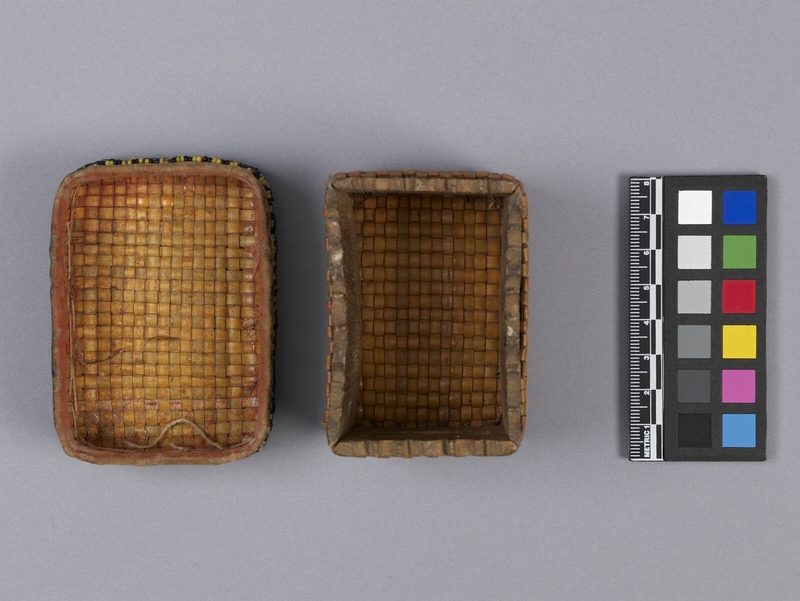 The box (part a) is covered with woven rattan. 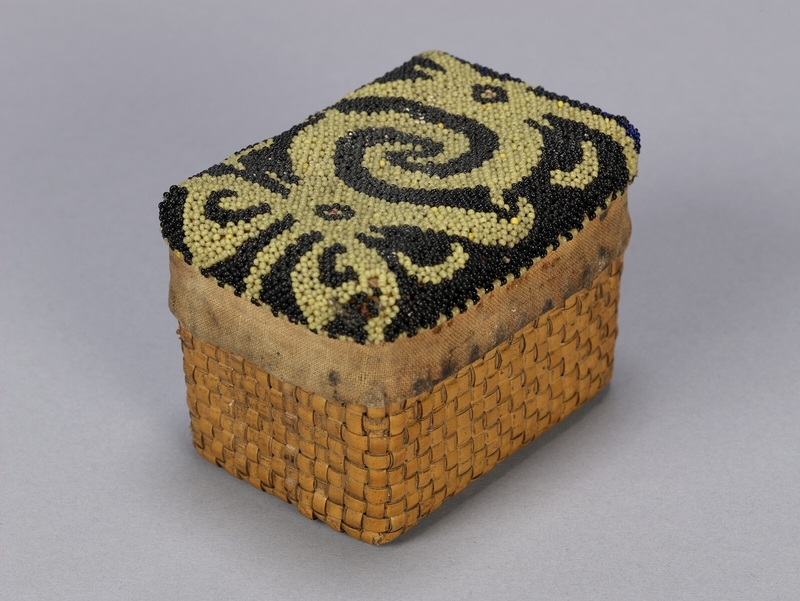 The woven lid is covered with fabric which is beaded with an abstract design in yellow-green on a dark blue background. The lid is edged with faded red fabric.